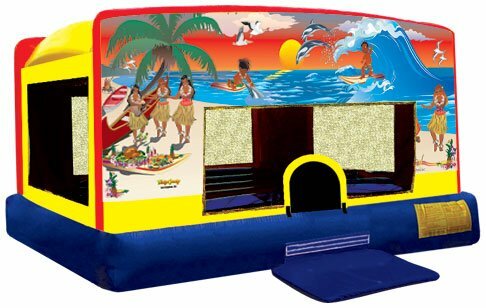 New to the industry and inventory, our sparkling inflatables collection. Sparkle, dazzle, flare, pizazz and flashy. Most competitors offer the smaller 13x13 bouncers. At Jumping Bean Party Rental, we offer the larger units at the lesser price.15x15 large bounce area with 1000lb weight limit. These will be hot items for 2017, be sure to book early. GOOD FOR AGES 2 TO ADULTS. Our large Disney princess bouncer is a sure win. Ariel, Cinderella, Tiana, Belle, Jasmine, Aurora and Snow White, all ready for the party. 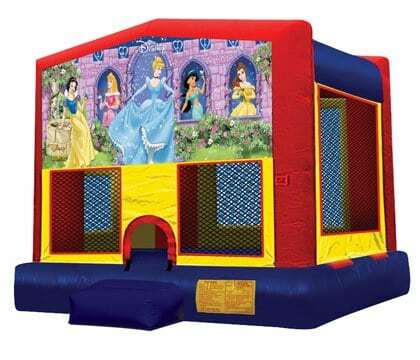 This Disney Princess bouncy house features a pair of 3-D princess toppers, along with beautiful artwork fitting for royalty. This bouncer is the perfect way to combine fun and healthy activity for kids of all ages. 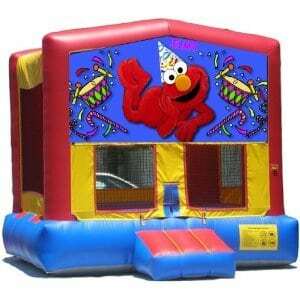 This jumper features a 360-degree mesh windows, so parents and spectators can have a clear view of all the fun. GOOD FOR AGES 2 TO ADULTS. Our large Medieval castle is fitting for any young king. Invite over all the king’s knights for a day of fun, no armor needed. This bouncer is the perfect way to combine fun and healthy activity for kids of all ages. 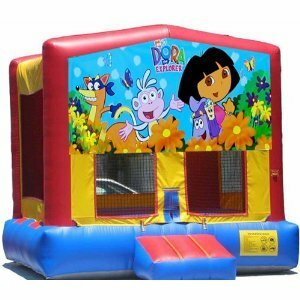 This jumper features a 360-degree mesh windows, so parents and spectators can have a clear view of all the fun. GOOD FOR AGES 2 TO ADULTS. L 16’4” X W 15’4” X H 14’6. Our Disney Licensed jumpers are the real deal. Don’t be fooled by imitation lower quality jumpers. High quality graphics on our large jumpers make for the perfect focal point for any planned event. This bouncer is the perfect way to combine fun and healthy activity for kids of all ages. 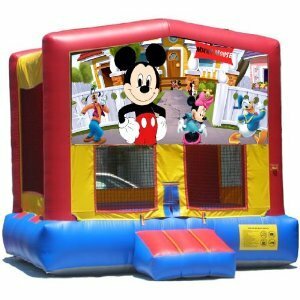 This jumper features a 360-degree mesh windows, so parents and spectators can have a clear view of all the fun. GOOD FOR AGES 2 TO ADULTS. This bright and sunny red and yellow monster truck offers plenty three-dimensional design, with grills, wheels and lights for a realistic feel. The Monster Truck bounce offers over 250 square feet of bouncing excitement. This bouncer is the perfect way to combine fun and healthy activity for kids of all ages. GOOD FOR AGES 2 TO ADULTS.